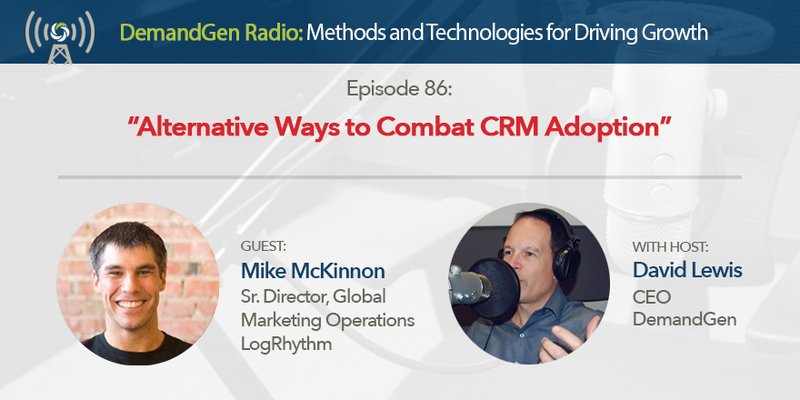 Mike McKinnon, Sr. Director of Global Marketing Operations at LogRhythm, has been in marketing operations for almost 15 years and he knows how to manage a CRM and implement data management practices better than most. Listen as Mike talks about some of the new governance practices he’s working on implementing to ensure his database has the highest data quality possible. From enacting a data committee to restricting sales reps from creating opportunities, learn what the team at LogRhythm is doing to combat duplicate and dirty data. In this episode, we also highlight how to make your CRM system more efficient and share tips for evaluating and purchasing new technologies in the new year.